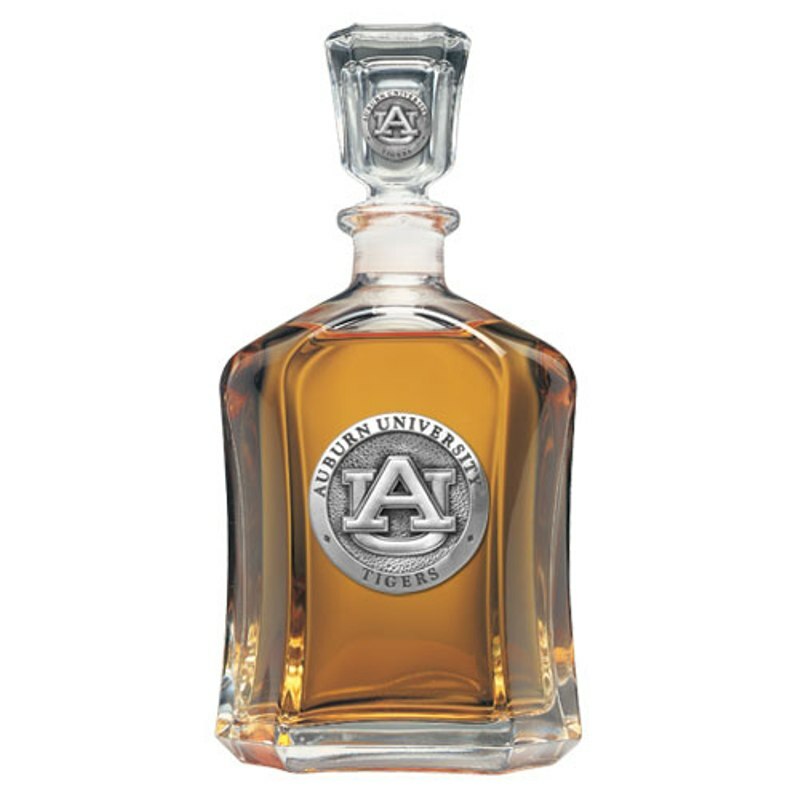 This 24 ounce glass decanter is embellished with a fine pewter casting. Be sure to match it with some of the double old fashioned glasses. A great addition to the home bar.